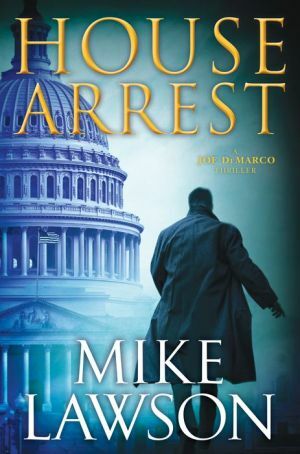 In the thirteenth book in Mike Lawson's celebrated series, Joe DeMarco finds himself on the wrong side of an investigation―in the wake of a political assassination, he's been framed as the killer. As the fixer for Congressman John Mahoney in Washington, D.C., Joe DeMarco has had to bend and break the law more than a few times. But when Representative Lyle Canton, House Majority Whip, is found shot dead in his office in the U.S. Capitol and DeMarco is arrested for the murder, DeMarco knows he's been framed. Locked up in the Alexandria Jail awaiting trial, he calls on his enigmatic friend Emma, an ex-DIA agent, to search for the true killer. Emma's investigation leads her to Sebastian Spear, the ruthless and competitive CEO of the multi-billion-dollar Spear Industries. Spear had a motive for killing Lyle Canton: Canton's wife, Jean, had once been Spear's high school sweetheart and the one true love of his life―until Canton won her over. Now Jean was dead, killed in a car crash while driving drunk, and Spear blamed Canton for the accident. But the case the F.B.I. has built against DeMarco is airtight, and not a single piece of evidence points to the grieving CEO. Using her cunning and her D.C. connections, Emma sets out to prove that Spear has been using some fixers of his own. Featuring crimes of passion, corporate corruption, and partisan feuds, HOUSE ARREST is a gripping, timely political thriller, and one of Lawson's best books yet.